For Samuel Hoenig, Asperger's isn't so much a syndrome as it is a set of personality traits. And as the sole proprietor of a business called Questions Answered, Samuel's put his personality traits to good use, successfully answering every question he's ever been asked. But when his newest client asks about the true identity of her so-called husband, Samuel recruits his former associate, Janet Washburn, for insight into a subject that's beyond his grasp--marriage. Working as a team seems to be the right approach...until the inscrutable spouse is found dead in Samuel's office. 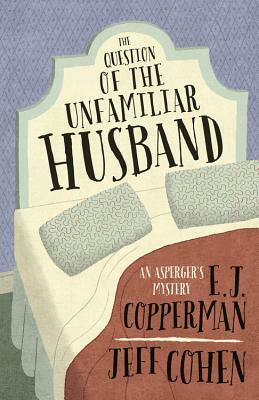 Feeling like he's been taken for a fool, Samuel is more than willing to answer a new question posed by an unexpected inquirer: who killed the unfamiliar husband? E. J. Copperman is the author of the Haunted Guesthouse series (Berkley Prime Crime) with nearly 200,000 copies sold. Writing as Jeff Cohen, he has published two nonfiction books on Asperger's Syndrome, including The Asperger Parent. You can visit him at EJCopperman.com.Writing as E. J. Copperman, Jeff Cohen is the author of the Haunted Guesthouse series (Berkley Prime Crime) with nearly 200,000 copies sold. Writing as Jeff Cohen, he has published two nonfiction books on Asperger's Syndrome, including The Asperger Parent.